This one is a real treat, Omaze want to take you and a friend to SDCC’s 50th. 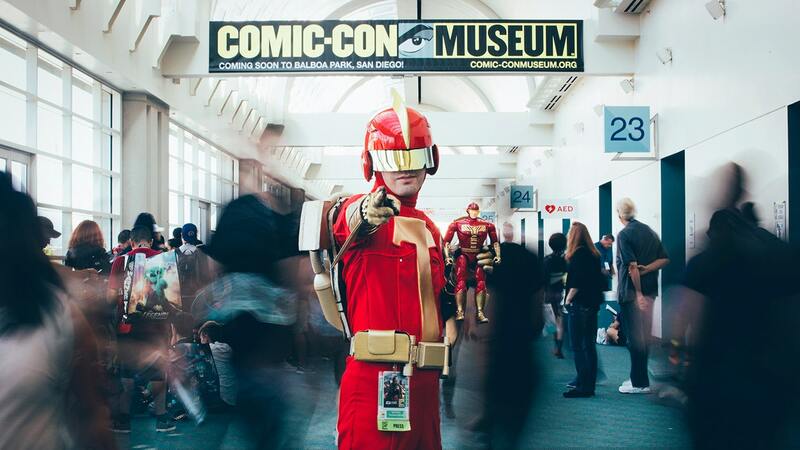 You will be gifted with a 4-day pass to the 50th Comic-Con, special access to Preview Night, photo booth opportunities and exclusive tickets to live shows. Not only that but you will receive a personal Comic-Con concierge who’ll help you plan out your schedule and make the most of your experience. The tickets will even include reserved seating in the now infamous Hall H (for the whole convention)! If that’s not enough you will also be attending the much anticipated Comic-Con Museum’s inaugural gala and if you want more Omaze will even fly you out to San Diego and put up in a 4-star hotel. At this point there really is not much else I can offer you to top this, except by reminding you that it’s Comic Con and all money donated to Omaze will be used to help found the Comic-Con museum, a worthy cause if I have ever heard one. All you need to do is follow this link and donate.